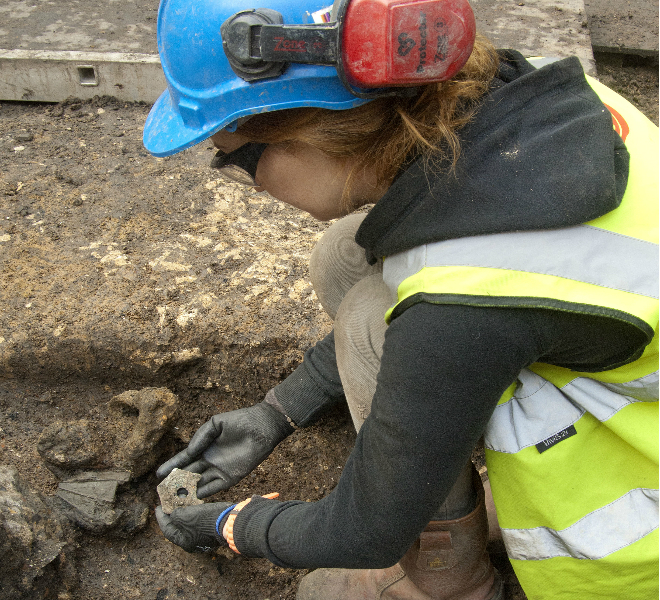 MOLA has completed the main excavation in the central part of the 8-10 Moorgate site in the City of London and the discoveries have proven to be even more exciting than our initial investigations in 2010! 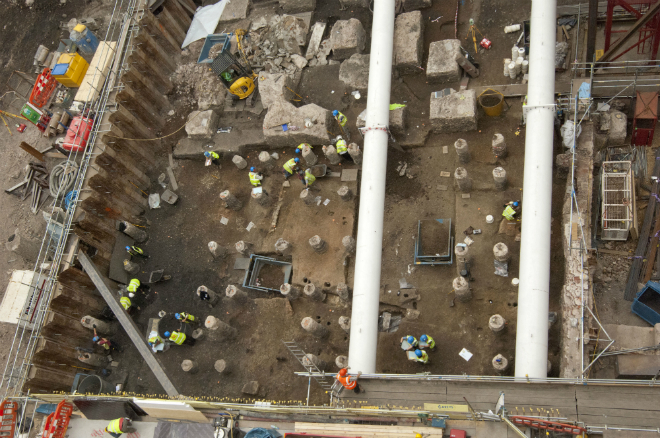 The redevelopment of the site by Stanhope and Mitsui Fudosan has provided MOLA with an exciting opportunity to investigate a large area on the banks of the Walbrook stream, a tributary of the Thames that flowed through the heart of the Roman City. The buildings uncovered date from the 1st century (the time when the Roman city was founded) to the 3rd century and include both masonry, and clay and timber buildings as well as circular wattle structures; thought to be animal pens. In addition to the main buildings, fences, gravel alleyways and wells have been discovered, creating a vivid picture of a community living and working at the eastern edge of the Walbrook stream. A number of finds suggest aspects of wealth in this part of the city, where activities such as glass-making, pottery production, metal-working and leather-working would have been conducted. In what appears to be a ritual burial at the bottom of a timber well, a human skeleton with two near complete pots was found. There is also evidence of carefully placed pots in one area (placed over several years) suggesting an enduring element of ceremony or religion at the site. Above the Roman remains were turf-walled buildings, dating to the early medieval period (11th-12th centuries). Their survival is rare in London and their presence exciting for all concerned. The final phase of the excavation will be an area believed to be over the “lost” Walbrook stream itself. Here the Roman levels; which may include more timber revetments or perhaps even a bridge or a mill, will be preserved. 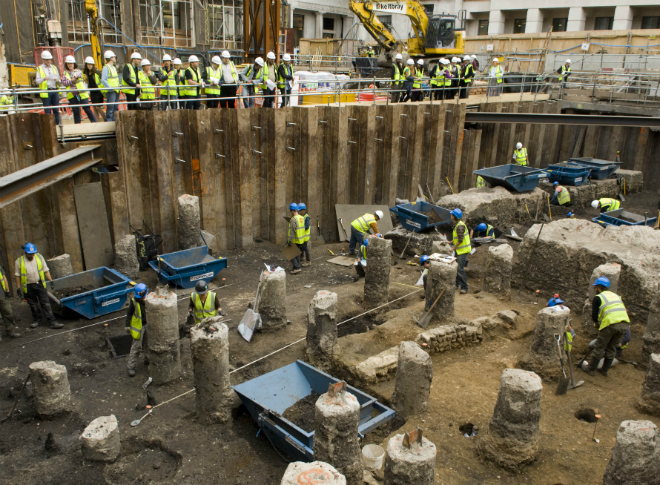 When MOLA collates all the information from both the Roman and the medieval periods, it will provide a fascinating glimpse into life the Moorgate area across the centuries.